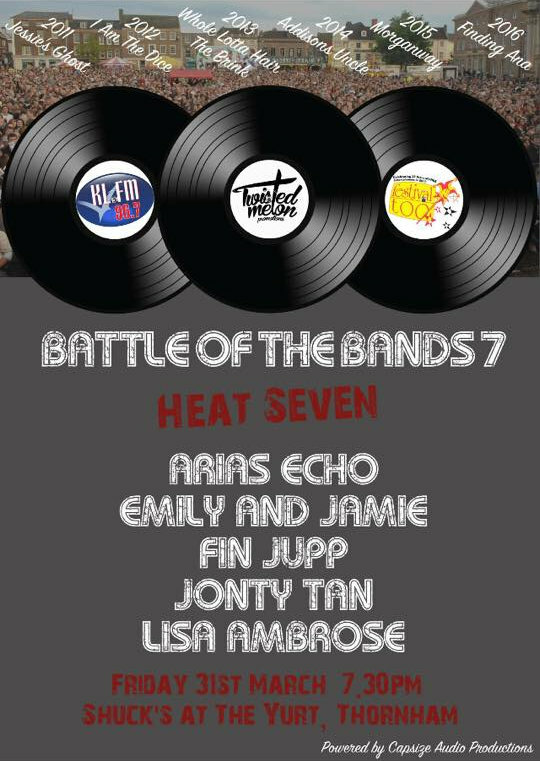 Shuc’s are proud to be hosting Heat 7 of Battle of the Bands in conjunction with Twisted Melon Productions KLFM 96.7 and Festival Too. Bookings are being taken now for tables...great food and great music ... the perfect combination. Battle of the Bands - Shuc’s are proud to be hosting Heat 7 of Battle of the Bands in conjunction with Twisted Melon Productions KLFM 96.7 and Festival Too.